There are so many benefits that come with choosing dental veneers to enhance your smile. Living with a smile that you are embarrassed to show off to the world is not ideal, and with so many incredible cosmetic procedures available in this day and age, there’s no reason to live that way. A confident smile can have a positive impact on every aspect of your life, from your social life to your professional life, and one great way to achieve that kind of smile is through dental veneers. 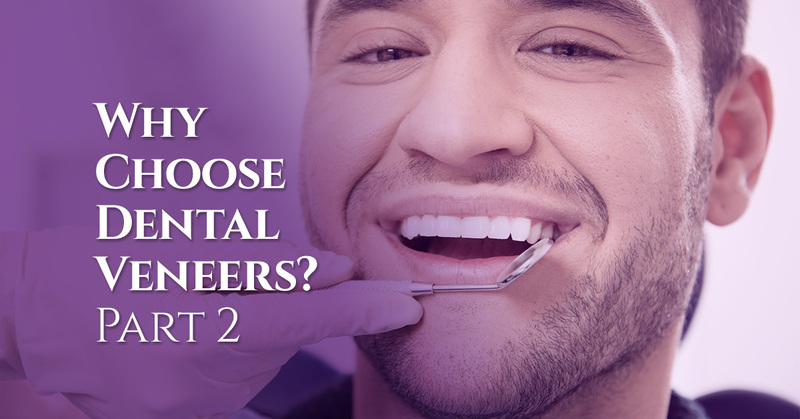 If you haven’t already, take a moment to read Part 1 of this blog series to learn what dental veneers are and a few of the benefits of choosing them to enhance your smile. Keep reading to learn about more of the benefits of choosing dental veneers. #4. The procedure is easy and painless. When compared to other cosmetic dental procedures, the dental veneer procedure is a breeze. Other cosmetic procedures can be intensive and painful, but with dental veneers, that simply isn’t the case. Since veneers only require a small amount of enamel to be removed, many people don’t even require anesthesia for the procedure, but the dentist can numb the area if necessary. This makes dental veneers an excellent option for anyone looking to enhance their smile, but who are afraid or wary of any procedures that are too invasive. #5. Dental veneers require no recovery time. In addition to the procedure for applying dental veneers being easy and virtually pain-free, you’ll be glad to know that dental veneers require no recovery time. Some cosmetic dental procedures, like dental implants, come with uncomfortable recovery periods, but that isn’t the case with dental veneers. With dental veneers, as soon as the application process is complete, you’ll be able to enjoy your new pearly whites right away. #6. The results you get with dental veneers are long-lasting. Whether you are choosing dental veneers to correct discoloration, shape, gaps or anything else, you’ll enjoy long-term results. 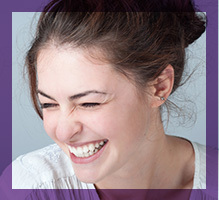 Typically, veneers last for approximately 10 years. And, since dental veneers are resistant to staining and discoloration, they’ll keep your teeth white and beautiful for a lot longer than teeth whitening. #7. Dental veneers can be used to correct multiple aesthetic problems at once. One of the best things about dental veneers is that they are one solution for many different aesthetic dental problems, including discoloration and staining, misshapen teeth, cracks or chips, narrow smiles, gaps, small teeth and crooked teeth. If, for example, your teeth are discolored and misshapen, you could get them whitened and contoured, but with dental veneers, you can fix both issues with one, simple procedure. To learn more about dental veneers, contact our dentist office in Lawrence. There are so many great reasons to choose dental veneers to correct an aesthetic dental problem, however, they’re not the ideal solution for everyone. But, the good news is that the experts at James Otten Dentistry are dedicated to providing you with the information you need to make the right choices about your dental health. Contact us today to learn more about dental veneers and to find out if they are the right option for you.